Donald R. Smith is the owner of Acacia Transitions, LLC. in Scottsdale, Arizona. 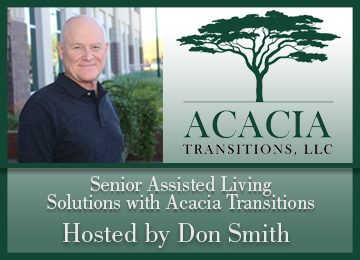 Don started Acacia Transitions to provide a full service solution for seniors moving to independent or assisted living communities. Don has an extensive background in working with seniors and a desire to help with a seamless transition. Our offering has been created exclusively for seniors 55 plus as they transition out of their current home into a senior living community. We can arrange services which may include, Home Staging, Packing and Moving, Estate Sales, Handyman Home Repair Services and Cleaning Services. No episodes have been recorded yet.